Navigation tools available to wilderness explorers have evolved from stars, sun, and river drainages to maps, compass, guidebooks and eventually the Global Positioning System (GPS). Navigating with the help of a GPS device is fundamentally different from using 20th century methods and can be described as nothing short of liberating. Conventional navigation, using map and compass or following descriptions of the landscape in a guidebook, depends on “staying found”. This terminology, the opposite of “being lost”, implies that unless the current location is known, a compass heading is useless for guiding travel direction to the next waypoint. Similarly, the description in a guide of a particular landmark, which one should aim for, is only useful if one happens to be at a spot from which the landmark is visible. Exceptions to this general rule (the need to stay found) are certain circumstances where it can be possible to find two or more easily identifiable landmarks, get compass readings, and triangulate to pin down a location. 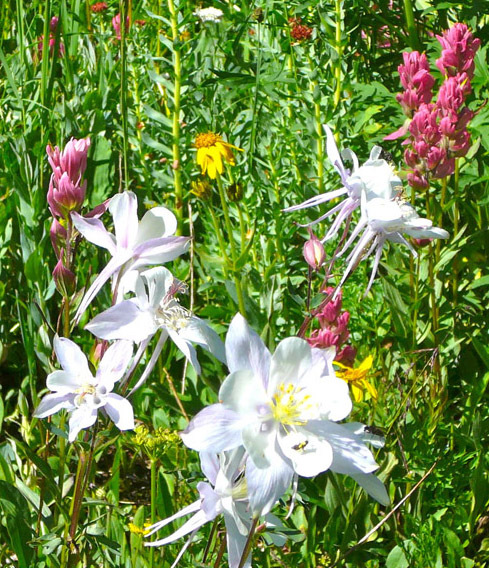 On a well-marked trail or ski track, of course, one stays found implicitly and without expending any mental effort. Exploring off the beaten track, however, requires awareness of one’s location at all times. This can become challenging, tiresome and even stressful. In extreme cases it becomes a safety concern. GPS navigation is distinctly different from wayfinding 20th century style. A GPS receiver will always provide an absolute location, either as numerical coordinates or as a point on a map that is displayed on the screen of the GPS receiver. There is no need to stay found. If a GPS receiver is turned on in a completely unknown place, it will provide the coordinates of the current location in a matter of seconds with a margin of error of just a few yards. Likewise, if the satellite signal is lost due to obstructions such as cliffs or canyon walls, the receiver will produce the correct coordinates again as soon as it receives adequate signals from the satellites. Furthermore, the receiver also records a track or “breadcrumbs trail” as it is being carried along, documenting the route as well as the elevation profile. If one encounters important or otherwise relevant positions along the route, they can be easily marked as waypoints with corresponding coordinates. The basic principles of GPS navigation are fairly straightforward, but the technology in current use is highly sophisticated. A brief description should be sufficient at this place to convey the idea on which GPS navigation is based. 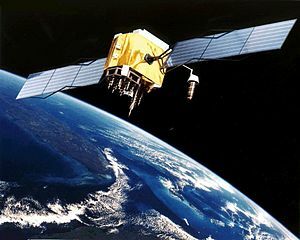 There are about 30 satellites that belong to the U.S. GPS system orbiting the earth, continuously transmitting their position, together with a very accurate time that is based on atomic clocks (with an error of about 14 nanoseconds!). A minimum number of 4 satellites have to be in radio contact with the receiver to allow the calculation of the receiver’s position and elevation. Signals from additional satellites improve the accuracy, and modern receivers typically can accommodate 12 satellites. The GPS receiver synchronizes its internal clock with the atomic clocks, calculates the distances (using the speed of the radio signals) from the known positions of the satellites, and derives the receiver’s position on the earth’s surface using spatial trigonometry (trilateration). The user of a GPS receiver can improve the reliability and accuracy of the navigation data by providing a favorable environment for signal reception. Holding the receiver away from the body and staying out of thickets is helpful, but modern devices with high sensitivity receivers tend to give good results under most conditions. While the accuracy of the GPS system in the horizontal plane is quite remarkable, errors in the elevation data can go as high as hundreds of feet. In order to improve the reliability of elevation profiles, the data for the graphs on this site are taken directly off the topo map along the track. The following description assumes the use of free software (Garmin’s BaseCamp application, available for MAC’s and PC’s), the Colorado topo map (http://www.miscjunk.org/mj/mp_cotopo.html), which is available as free download, and a GPS receiver (Garmin’s eTrex Vista HCx). There are numerous devices available that are equipped with GPS receivers as well as untold numbers of apps, and these serve quite well in place of the above-mentioned tools. These alternate methods and devices will be listed in the appendix as they get recommended. For example, the iPad is equipped with both, receivers for the U.S. GPS system and the Russian GLONASS satellite navigation system, and digital topo maps can be purchased from various sources. Hikers can use a number of different methods to make use of the GPS system. Examine the area where you plan to hike on Google Earth and put Placemarks at strategic spots. For example, a Placemark at the point where a trail disappears and a mark where it becomes clearly visible again can help you find your way across a trail-less stretch. Export the collection of Placemarks into a .kmz file and import the file into BaseCamp. The markers now appear as waypoints and can be transferred to your GPS device. On the hike, use the display of the receiver to head towards those waypoints. The receiver will plot a track, sometimes referred to as a “bread crumbs trail”, which can be used on the return trip as a guide. In mountainous terrain this method could turn out to be as unsuitable as using a compass heading due to obstructions or cliffs that may interfere with a direct route. Generate a track on the GPS receiver while following along a well-established trail, then make interesting side excursions on the way back and use the originally recorded track to find your way back to the trail. Finding a trail without navigation tools, once you are a few yards off the trail, can turn into an unexpected challenge. This is especially the case if the trail happens to be above your location or in brushy terrain. Download a previously recorded track, including waypoints that mark locations of particular interest, from a website into BaseCamp and then transfer the data to the GPS receiver. Finding the trail or a trail-less route, as well as any excursions that might lead to enchanting vistas off the trail, is then as simple as following the track on the GPS receiver’s map display. Method 3 is the approach used in this website. It depends on hikers contributing GPS tracks, pictures, and other tidbits from interesting hikes to the collection. The method is reliable because it does not depend on some hypothetical data that was derived from a map, but because the track has actually been walked by someone. You are unlikely to get cliffed out using this method. There is a symbiotic relationship between Google Earth and Garmin BaseCamp that allows for the easy transfer of data. For example, you can directly import GPS tracks you bring back from a hike and relive the adventure from a satellite perspective in Google Earth. Files of the type .gpx can be imported and direct transfer from a GPS receiver to Google Earth is supported as well. Note that none of the methods described above requires entering waypoints using the rather tedious process of manually keying in 17 digits for every point. Keying in long strings of numbers obtained from a hardcopy can take the fun out of GPS navigation. Depending on your browser, downloading a .gpx file may differ slightly. These are instructions that work with Firefox. - Right-click (or control-click) on the gpx file. - Click on "Save link as" and specify the folder. - If BaseCamp is installed, the file will launch BaseCamp and import. More details on downloading here. A receiver always retains the data, even if powered down or when the batteries go dead. It is essential, of course, to carry spare batteries to maintain the dependability of the receiver and to keep it functional. Following an established track on the display screen of a receiver requires attention to the optimal setting of the display. The scale has to be adjusted to maintain the proper perspective for the requirements of the hike at a given time. The display should have sufficient detail to bring the hiker within a few yards of the original track. If one is exploring off the track, the scale needs to be adjusted so that the original track and the current position marker are visible simultaneously. If a good trail heads in the right direction, but seems to be off the track on the GPS, just stay on the trail. The location error may be several tens of yards. Should you come to a fork in the trail, just follow Yogi Berra's advice and take it. Tracks sometimes merge again, and you will find out soon whether you are on the right one. In difficult environments such as dense forests or in the vicinity of cliffs, the GPS receiver should be carried in a manner that provides favorable conditions for signal reception. A receiver utilizing high sensitivity circuitry, sometimes denoted with “Hcx”, will provide more reliable navigation data.